On his fine blog, Louis Proyect describes two very different conferences and two very different versions of the left – one statist, which finds itself backing “the neoliberal family dynasty that is bombing working-class tenements” in Syria; the other internationalist, supportive of popular revolution, concerned with the class struggle. The first is the ill-named Stop the War Coalition conference to be held in London on November 30th (it was planning to invite a nun who serves as one of Assad’s chief propagandists and genocide deniers); the second was a Syria solidarity conference held a few days ago in New York. This is a tale of two conferences, one billed as a teach-in on Syria that occurred yesterday at New York University; the other to be held in London on November 30th on Syria as well. They could not be more unalike even though Trotskyists (loosely defined) were in the driver’s seat of both events. As is the case in my write-ups of many movies that I walk out of in disgust after 15 minutes, I will rake the London event over the coals though I will not be attending it, even if someone paid for the airfare. The London event is organized by the Stop the War Coalition (STWC) that played a key role in opposing George W. Bush’s war on Iraq. To put it as succinctly as possible, they see Syria as a new Iraq war in the making and their mission revolves around the need to oppose Obama’s war plans—something that amounts to busting down an open door. It does not matter to them that Obama never had any intention of invading Syria and imposing “regime change”; nor does it matter that there has been a revolutionary struggle in Syria. Their analysis is based on the struggle between nations and not between classes. In the case of Syria, people like John Rees and Seamus Milne back the neoliberal family dynasty that is bombing working-class tenements simply because the USA opposes it even if that opposition is only verbal. As long as there is a single op-ed piece by Nicholas Kristof taking the Baathists to task or a single speech by Obama filled with crocodile tears about the “Syrian tragedy”, they will remain on Bashar al-Assad’s team. With almost no interest in what is taking place inside Syria, the STWC conference naturally included only a single Syrian citizen, one Mother Agnes Mariam of the Cross, a diehard supporter of the Baathist dictatorship. When a hue and cry arose over her participation, Owen Jones and Jeremy Scahill told the organizers that they were dropping out. To the great pleasure of those who were protesting her presence, she withdrew. But they are still raising hell over the initial invitation. What would compel “peace” activists like John Rees and Lindsay German to extend an invitation to someone whose reputation as a liar and a warmonger is so well known? I invite you to look at Not George Sabra’s post on Mother Agnes that I am sure helped Scahill make up his mind. Jonathan Steele: Many thanks to all of you for coming to what I hope will be our most enlightening panel, on what is perhaps the most important and dangerous conflict facing the world today. Of course, we all know the mainstream media has been totally one-sided on the so-called Syrian “uprising,” and what’s needed more than ever is to put this war in its proper context, free from nefarious state-sponsored propaganda. Mother Agnes-Mariam: You have to understand, all Free Syrian Army fighters are terrorists. Steele: That’s a great place to start, thank you Mother Agnes. It’s a great irony that, while one of the most perfidious lies of the War on Terror propagated by Orientalist imperialism is that all Muslims carrying guns are “terrorists,” this has in fact turned out to be entirely accurate in Syria. 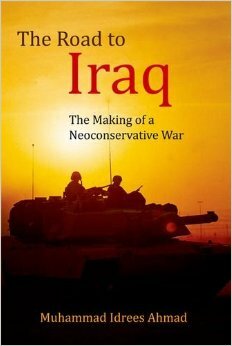 Tariq Ali: Some things are true even if George Bush believes them. Seumas Milne: If I could just jump in here, on that point, what’s been especially depressing for me to watch is the decline of al-Qaeda in Iraq from a resistance force, as I described them in 2011, to a reactionary, counter-revolutionary one in Syria. Ali: Hamas, too. Don’t forget they’ve become terrorists now as well. Milne: Right, yes. The very Palestinian cause itself is threatened as never before by imperialism. Steele: Is anti-Zionism the new Zionism? Milne: We should have called one of our sessions that. Next year. Steele: We could invite Galloway. Milne: Definitely. But back to the point, obviously propaganda-wise what we’ve seen in Syria fits a familiar pattern. Just as the number of Stalin’s victims has long been inflated by capitalist agitprop, so the alleged crimes of President Assad have been hugely exaggerated, if not outright fabricated. And this is something I know Mother Agnes has often spoken very courageously about. Agnes: Yes. Whether it’s the Houla massacre, or the chemical weapons attack in East Ghouta, there’s never been any evidence of Syrian government responsibility. Owen Jones: I’ve said that too. Steele: We’ve all said that. It’s disgraceful how so-called journalists rely on YouTube videos for their reporting nowadays. But I think more broadly the problem is a fundamental refusal to understand that Assad is not the problem in Syria. As I’ve often written, it’s the rebels themselves who are responsible for the continued violence. Agnes: Assad is a merciful man. Let me give you a personal example. When I negotiated the handover of hungry civilians from Moadamiyah to government forces last month, not all of them were arrested. Milne: Remarkable. Even though they were Sunnis. Milne: And people have the gall to say Assad’s government is sectarian. Steele: They use the same smear on Hezbollah, even though Sayyid Nasrallah has made it very clear that his fighters are in Syria to save Sunnis as much as Shiites. Milne: And what do they get in return? Human hearts eaten out of corpses. I mean we’ve all seen that YouTube video. Agnes: Can I just say, it’s so nice to be here in Britain. I deeply regret that, during his recent visit to Syria, I wasn’t able to meet with the head of your National Party, Nick Griffin. Steele: [Coughs] Coffee break! Anyone fancy a coffee break? A new group called the Middle East and North Africa (MENA) Solidarity Network-US that includes the ISO and a number of smaller left groups organized the NYU event. Billed as a teach-in, it was a great success with a hundred people in attendance on a Sunday afternoon. One hopes that other such events can be held at campuses around the country on weekdays, just as was the case during the Vietnam era teach-ins. As Gilbert Achcar stated in his presentation, the objective conditions that gave rise to the Arab Spring have not gone away. One can expect that Egypt, Syria, Libya et al will remain convulsed by class struggle and that imperialism will continue to maintain a presence in the region for the foreseeable future. While the organizers of this event share the British coalition’s opposition to American intervention, they go one step further and seek to support revolutionary forces in MENA even if goes against the prevailing “wisdom” that the Syrian rebels are no different than the Nicaraguan contras or UNITA in Angola. Indeed, it was the main goal of this teach-in to take these lies and wash them down the toilet where they belong. The first panel on Roots and Grassroots of the Syrian Uprising brought together four women: Leila Shrooms, Ella Wind (the American grad student), Mohja Kahf, and Razan Ghazzawi. 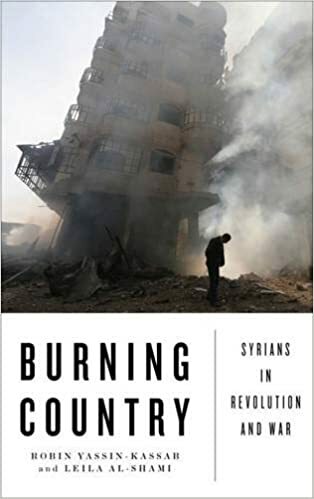 Ella Wind talked about the supposed rural/city divide that allows some commentators to describe the revolution as happening outside of Damascus, where she was conducting her research. She explains that it was too dangerous to protest there and that many opposed to the Baathists went back home to the countryside where it was safer to hold demonstrations. Damascus, like many cities in the region including Istanbul, include many people only one generation removed from their rural roots. Try to remember to have some compassion for a Syrian who might be in the vicinity, before you mouth off in the abstract on the issue; we face news every day of our friends and our relatives being killed and imprisoned. Take time to get to know about a few of them, the Syrian rev youth activists who started it all, in hundreds of towns across Syria, before you speak about Syria based on what happened in Iraq or Lebanon or Country X.
Razan Ghazzawi Skyped in from rural Syria, where she lives in a liberated and very traditional village where she is accepted on her own terms as an unveiled and single woman. In 2011 she began blogging in support of the mass movement against the Baathists, for which she was arrested. The charge? Spreading false information and weakening national sentiment. It continues to amaze me how people like John Rees and Tariq Ali can get worked up over what happens to Edward Snowden or a Julian Assange but remain utterly indifferent if not hostile to someone like Ghazzawi. She blogs at http://razanghazzawi.org/. Bookmark it! The second session was titled Myths and Realities of the Syrian Uprising that featured Sara Ajlyakin, Nader Atassi, and Budour Hassan. Sara Ajlyakin is a member of the International Workers League in Brazil, a Morenoite group that has a good position on Syria. Unfortunately she spent far too much time in her talk offering a “Bolshevik” attack on the late Hugo Chavez who deserves blame for backing Bashar al-Assad. But her remarks were mostly about “betrayal” of the workers in Venezuela, a topic that really was off-topic. She is also quite strident, an understandable tendency given her training. From what I can gather, the Morenoites have a branch office in NYC that is working with the MENA Solidarity network. I hope that they are behaving themselves. Nader Atassi is a Facebook friend who I met through Pham Binh. He is now working on the arts page for Jadaliyya and blogs at Darth Nader (http://darthnader.net/). He gave a brilliant presentation on the problems of demonization and oversimplification that pervade the Baathist left. Instead of trying to recapitulate his analysis, I urge you to read his interview with Truthout titled Syrian Anarchist Challenges the Rebel/Regime Binary View of Resistance that once again makes anarchism look much more attractive when compared to the “Marxism” dispensed by John Rees. “Where are the secular rebels?” wonders one apprehensive Western “leftist”, whose main task has become to emulate his Islamophobic counterpart on the right by counting the number of beards he sees in a YouTube video and the “Allahu Akbars” the fighters and demonstrators shout out. Al-Meer’s first arrest came in April 1979 when he was detained for a month by the military intelligence for distributing pamphlets. That brief stint in jail would prove to be only but a first step in a journey crammed with persecution and arrests. In March of 1983, al-Meer was fired from his job at the Euphrates Dam at the request of the political security branch due to his political activism. In 1987, he was indicted for participating in a banned party. The indictment forced him into hiding when his daughter Farah was only two months old. Al-Meer was eventually arrested in 1989 and was sentenced to ten years in jail for the crime of being a communist striving for democracy. He could not see his daughter until 1992 in Saidnaya prison; those rocky five years changed his complexion so much that Farah failed to recognise that he was her father. How tragic that a John Rees or a Tariq Ali should be part of a conference designed implicitly to make the repression of people like al-Meer more effective. The final session was titled Syria in the Context of the Arab Uprisings that featured Yasser Munif and Gilbert Achcar. The revolutionaries are actually fighting on two fronts. On the one hand there is the regime, on the other hand there is the Al-Nusra and Al-Qaeda-created groups, the jihadists. And the jihadists are actually arresting, torturing, killing many activists — people who have been resisting since day one. Most of the Al-Qaeda-created groups are not really fighting the regime. They are staying in those northern parts. They are letting the Free Syrian Army and other factions to fight the regime and they come behind them and take over whatever liberated cities or villages there are. So they’re very vicious. As I said, they’re arresting activists. Anyone who criticizes them is arrested, tortured, sometimes killed. Right now they have more than 1,500 activists in their prisons. I also strongly urge you to read Munif’s report on Manjib, a liberated city that he visited recently that encapsulates the challenges and the hopes of the new Syria. Manbij is a poor and rural town of some 200,000 people in north eastern Syria. The city is half an hour’s drive from the border with Turkey and the vital Tishrin Dam. It sits in the agricultural hinterland of Aleppo with one of the largest mills in the region, grinding some 500 tonnes of flour a day. Control over Manbij is a strategic prize for the Syrian revolution. The town was one of the first to free itself from the control of Bashar Assad’s regime. Its poverty, and economic marginalisation, became an advantage when the peaceful revolution turned into an armed uprising. Unlike other cities, the regime did not surround Manbij with military bases. The story of the Syrian Revolution is written into the town’s tumultuous events that began before the outbreak of the Arab Spring. It is a story about the struggle to drive out Assad’s forces, to put in place effective popular control, and what has become a new struggle between the revolutionary forces and Al Qaeda affiliated Islamist organisations. Finally, there is Gilbert Achcar who I had the very great pleasure to meet for the first time and to chat with. He made the case that the Syrian revolution was for real and that activists have to be prepared for a long struggle just like people on the ground in the Middle East and North Africa. 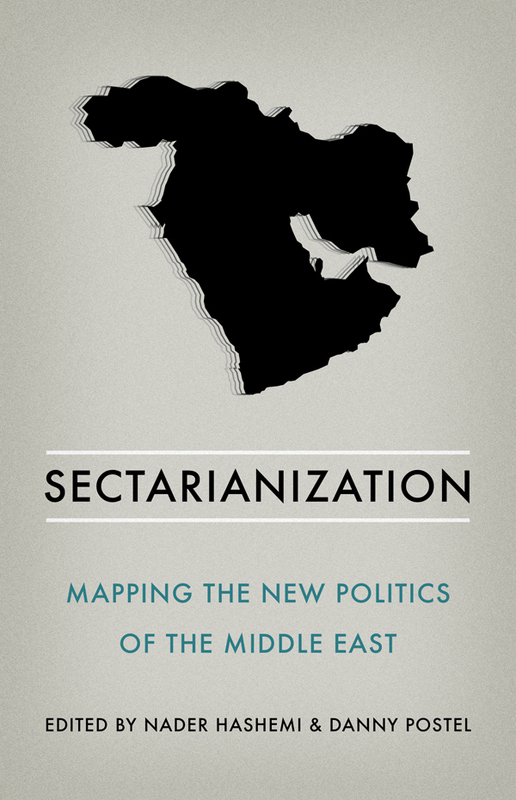 That is why the formation of the MENA network is so auspicious.